This is pretty interesting. 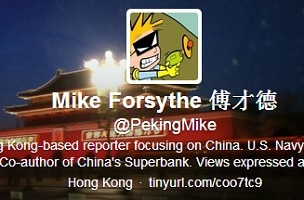 Michael Forsythe, a Hong-Kong based reporter who exited Bloomberg News in November after a controversial suspension and some article spiking, has moved over to the other major U.S. publication making recent headlines with matters pertaining to foreign-journalist visas in China. After Bloomberg News published an article in June 2012 on the family wealth of Xi Jinping, at that time the incoming Communist Party chief, sales of Bloomberg terminals in China slowed, as officials ordered state enterprises not to subscribe. Officials also blocked Bloomberg’s website on Chinese servers, and the company has been unable to get residency visas for new journalists. 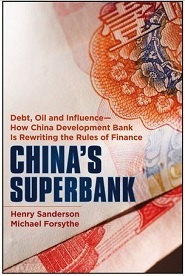 Mr. Forsythe was a lead reporter on the article about the Xi family and other articles in the 2012 “Revolution to Riches” series, which received a George Polk Award and awards from the Asia Society, the Overseas Press Club and the Society of American Business Editors and Writers. There’s no footprint at press time on Forsythe’s Twitter account relating to this exciting professional news. But it’s great to see an experienced China chronicler finding a solid new base so quickly. The Forsythe hire was also touched on this weekend by NYT public editor Margaret Sullivan.